How To Post Article On UC News And Earn Money Online. 1 Benefits of UC News Author Hunt. 2 Steps: How To Sign UP As UC Author And Publish My First Post. 5 How To Publish the First Article On UC News? 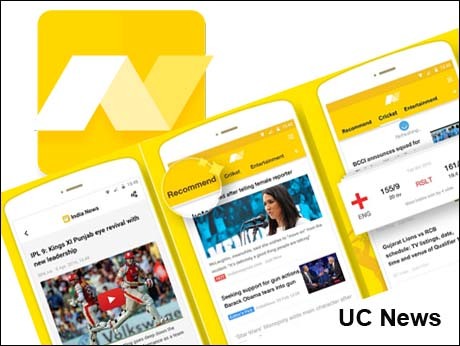 How To Post Article On UC News : Hello Guys, As we Know that UC News Become One Of the most popular Android app for latest daily news. UC news Is giving You Latest News, Political News, Tech News, Videos, Reviews and much more. Beside this UC news is also giving Out 5000 Rs as Refer and Earn Program. But in This Post we are talking about How to Publish article on UC news and Earn Thousand of Money Online. UC news Have 3 Million Subscribers and If You are a blogger then UC news will definitely help you to increase your daily income and Your Daily Blog Views. UC news Is Also Giving 300 Rs For Every Blogger You Signup as a author. If You Want to Earn Thousand of money online then uc news author platform is best way to earn money. Just Publish Trending Tropic on Uc News and Get Approx 50k Views Per day without sharing it anywhere and without SEO. Just Become a independent Publisher on UC News. We Media Platform. Benefits of UC News Author Hunt. Currently UC News Is giving 300 INR Instantly to Every Blogger Who Sign Up. No Need To Write Post On UC. At signup page enter Your Blog Feed and UC news Will Fetch it automatic and publish it on there app. No Need to Buy Domain, Web Hosting Or Anything Else. Forgot the problem of AdSense disable and click bombing. Minimum Redeem is 50USD. If You Post 4 or 5 Trending topics then you can easily cross the 50$ Limits. SEO Knowledge in Not Necessary to post articles on UC News. UC News Takes A Lot Of Times To Review and publish Your article. Minimum 5-6 Hours is Require. Steps: How To Sign UP As UC Author And Publish My First Post. We-Media Program is a platform for everyone whose voices can be heard by millions. It is a convergence of all viewpoints and enables content creators to gain reach, acquire readers and monetize their content. Now Click on JOIN NOW Button. Note: Check That On Invitation Tab is not leave Blank. Now Submit Your Application By Clicking On Continue. Now Fill All Account Details and Then Click on Continue. All Done. Your Application will we approve in 48 Hours. Visit This Page To Login On UC news : LOGIN NOW. My First Post On UC News is About Jio Traffic Plans and Its Achieve 26k Views and 98 Followers. How To Publish the First Article On UC News? 2.After that login with your UC News We Media Account that you created above, and enter the captcha code. 3.Now click on “New Article” Button. After that, a new window will be opened. 4. Here, write your article. 5.After that click on save and then select Publish button. Now, it will take to approve almost 24 hours. Definitely You Can Earn From Your Started Blog. I don't Have Much time to post on UC. Thats why i Didn't earn much more from uc. Thanx will try, is there any refer and earn option too. wait for 48 hours and then make sure that your account is approved or not.